We are proud to announce that Northern Alliance Radio Network host and Shot in the Dark blogger Mitch Berg will be our M.C. 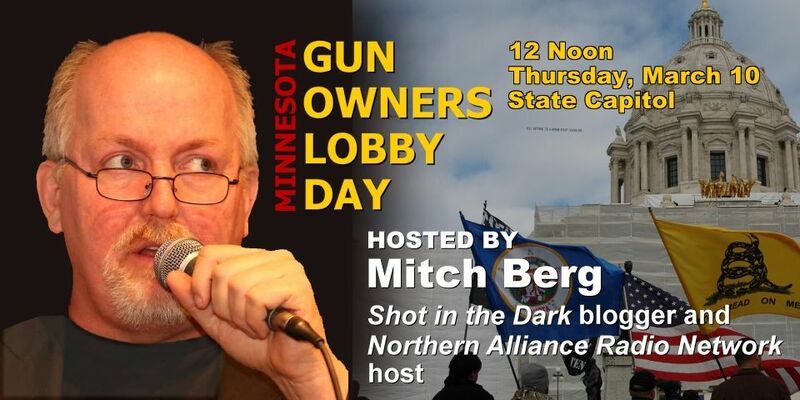 for the Second Annual Minnesota Gun Owners Lobby Day on Thursday, March 10. One special guest already confirmed is be Minnesota Speaker of the House Kurt Daudt. If you haven’t signed up yet, hurry over to mngold.org to reserve your spot — and your MNGOLD t-shirt!